I ordered a pair of the 968s. I heard from a friend that they ran a little small but unfortunately I had to exchange for an even smaller size. Other than being a little loose they felt pretty comfortable but will need some work to get a great shine. Ya I tried some on at the army navy store in Latham. Seem fairly comfortable, however the heel seems like it will become an issue of blistering if strenuous activity is conducted too long in them! There were so many different shoes there. It seemed as long as they didn't have a design on the side and were not patent leather you were alright...I had to replace my bates halfway through because the heel came off. As far as to carry the excess clothes and equipment in, is it safe to say a plain black duffel will suffice or does the logo on them not matter? 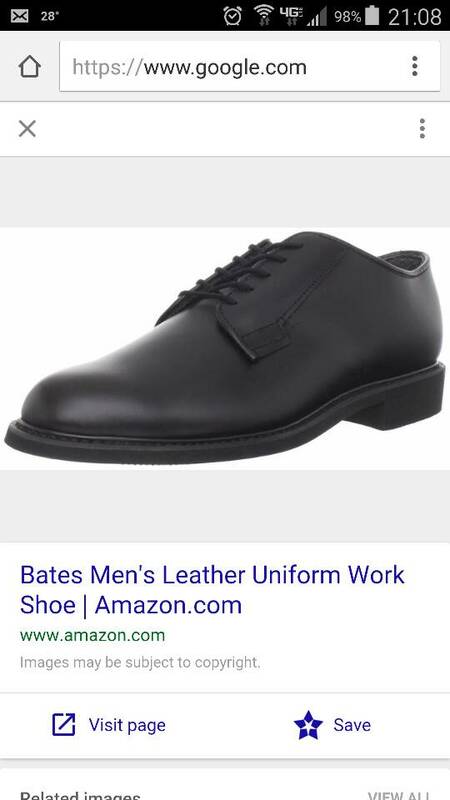 You can't go wrong with Bates 968. I wore a pair through the academy and still have them! When you get your 3/4 "elf shoes" issued they are Bates so you know right there that Bates is a brand no one will bother you over. I know it says it in your packet but just to repeat it in case you missed it DO NOT BUY THE HIGH GLOSS. When you get your shoes start shining them as soon is as you get them. You can not get a proper shine in just a day or two. If you're in the military you already know how if you don't google it. For those who know a few tricks don't use them. Use kiwi only. Wear them around the house. 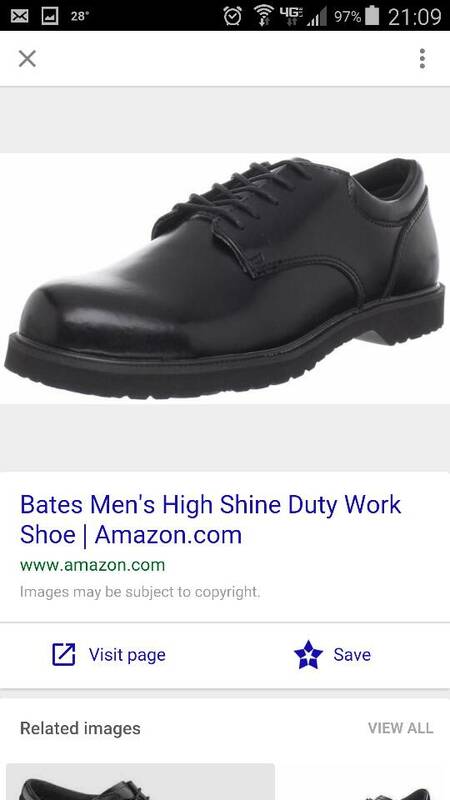 Trust me you don't want to break them in at the Academy. Last edited by Empiregrey; 03-06-2016, 07:10 AM. The color you want is Oxford gray although other brands may call it Heather. I would avoid anything described as charcoal. This is very close to what I wore. Of course finding proper sweatpants and sweatshirt was a lot easier before moisture wicking micro fleece. You think they would update that packing list from the 70s to at least the early part of this last decade. I used a pair of Nunn Bush Men's Eddy Oxford. They were really comfortable and held up without issues through all the *ahem* activities. You should consider looking for wrestling shoes now too. When it became time we needed it, it was out of wrestling season and the shoes were hard to find. As I've offered for previous classes, feel free to PM me with any questions regarding the Academy. I'll help as much as I can without ruining some good surprises. Cheap wrestling shoes...you wear them a handful of times and give them away at the end. Same with the suit. This time in 3 weeks we will be having the most fun time of our lives, hopefully I get there before all the pizza and wings are gone. Any recommendations on glasses and contacts? Would it just be safer and less hassle to wear glasses or would there be any time it's recommend to go with contacts instead? 1. Do we need black socks for under our oxfords or is bringing just the white athletic socks good? 2. What color running shoes do we need or is any color okay? 3. Do we need to bring gray shorts the first day or are we provided the shorts the first day? 2. What color running shoes do we need or is any color okay? You want conservative colored shoes; don't be noticed. 3. Do we need to bring gray shorts the first day or are we provided the shorts the first day?IDK about now. It has been a long time. We were issued the shorts right away. Thank you Empiregrey for the quick response! I very much so appreciate the help. There are currently 10986 users online. 477 members and 10509 guests.